Want a quick, impressive dinner? 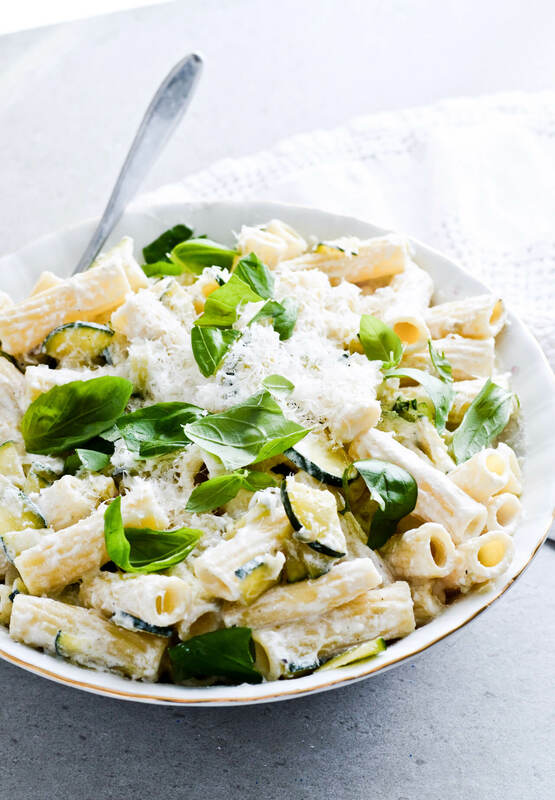 Make lemon ricotta zucchini pasta. It’s starting to smell like Fall around here. The days are slowly but surely getting shorter, the sun sets sooner and the evenings are now just pure perfection. There are trees that are already losing some of their leaves and the air just feels autumnal, warm but somehow less hot, more cozy and cleaner. I’m fighting every thought I have about Fall food; the mental images of apple pie and mulled wine, mashed potatoes and gravy, of carved pumpkins and cinnamon are flooding my brain. It is still summer, you know? I still have granita and ice cream recipes stacked in my make-this-now notebook and they are coming. But do any of you get me, anyone as excited for Fall as I am? The temperatures are still up there close to the 30°C mark and there’s still so much summer produce to go through. I do still use the oven, even though I always swear I won’t, but on most days I try to work around it. That’s when pasta comes in. 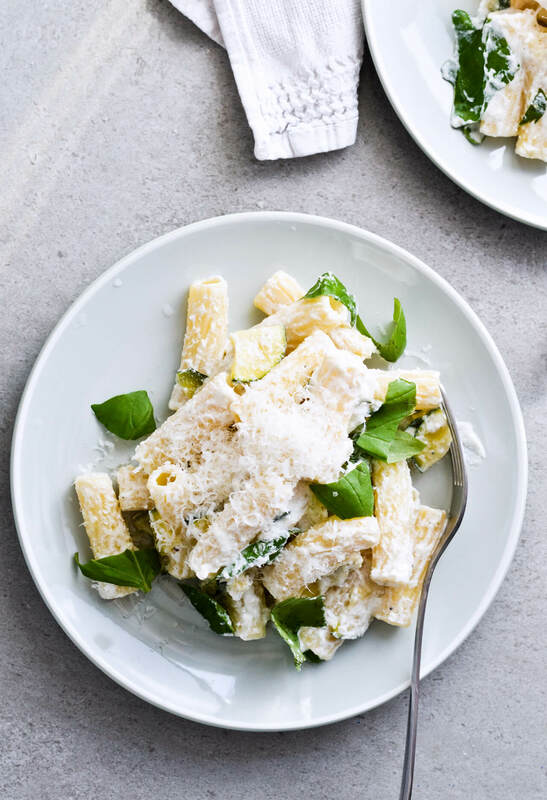 This lemon ricotta zucchini pasta is the easiest dinner you can make, fast and so tasty. 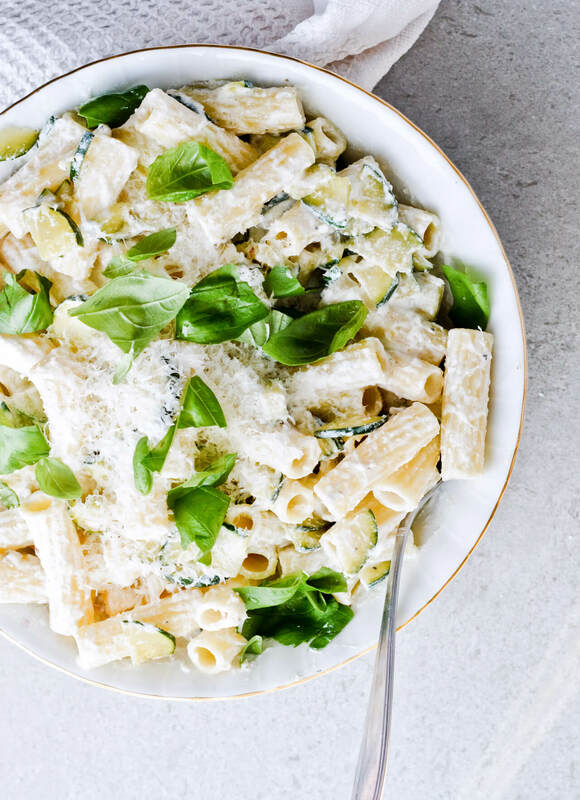 It works even without the zucchini, because ricotta is such a special ingredient. 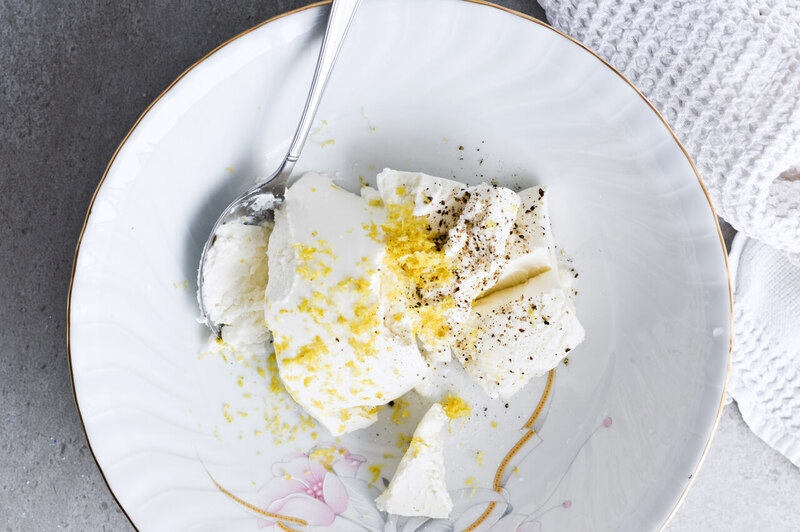 Or you could also use mascarpone instead, it does the same thing to this dish. 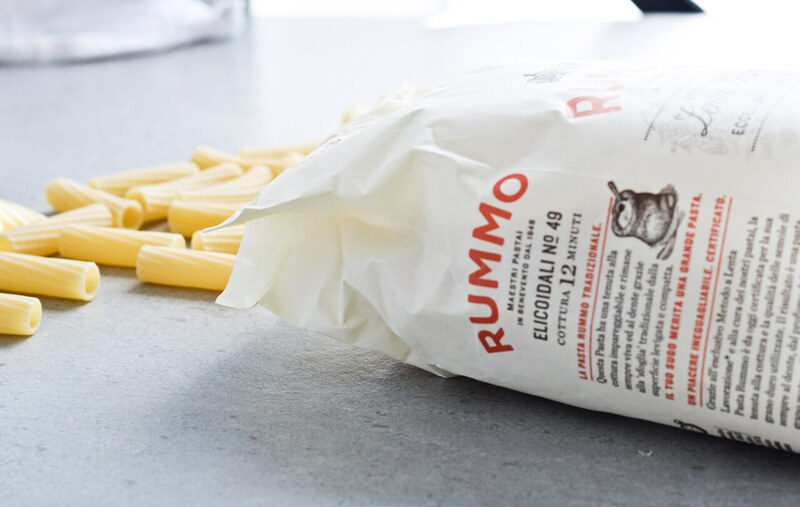 That thing is the ultimate, 30-second creamy sauce, which is simply a mixture of ricotta, spices and hot pasta water. 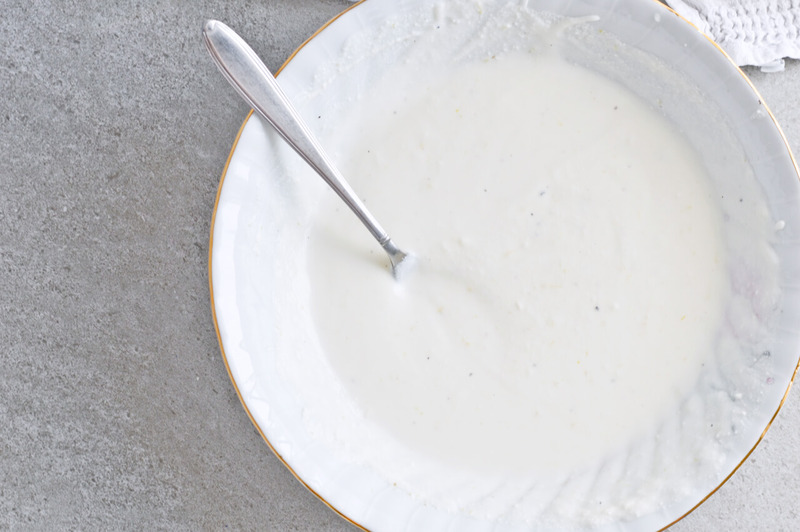 The latter melts ricotta and transforms it into an amazing sauce. It’s hard to believe it’s this easy, but it is. This recipe is very forgiving and that’s what I love about it the most. 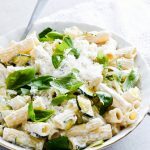 If you don’t have zucchini, you can use cherry tomatoes or peppers or any other vegetable that can be quickly cooked in a pan with some olive oil. 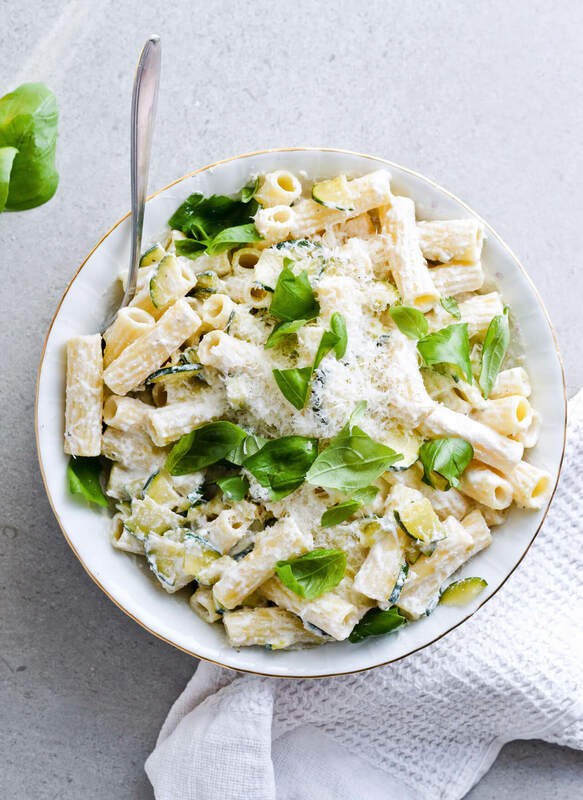 You can add fresh herbs of your choice and use pretty much any type of pasta, although smaller varieties are my favorite. And if you’re making this dish for a bigger crowd, simply double or even triple the recipe. Easy summer dinner, made under 30 minutes. Heat olive oil in a pan over low-medium heat, add shallots and cook for a few minutes, stirring occasionally, until shallots soften and are translucent. 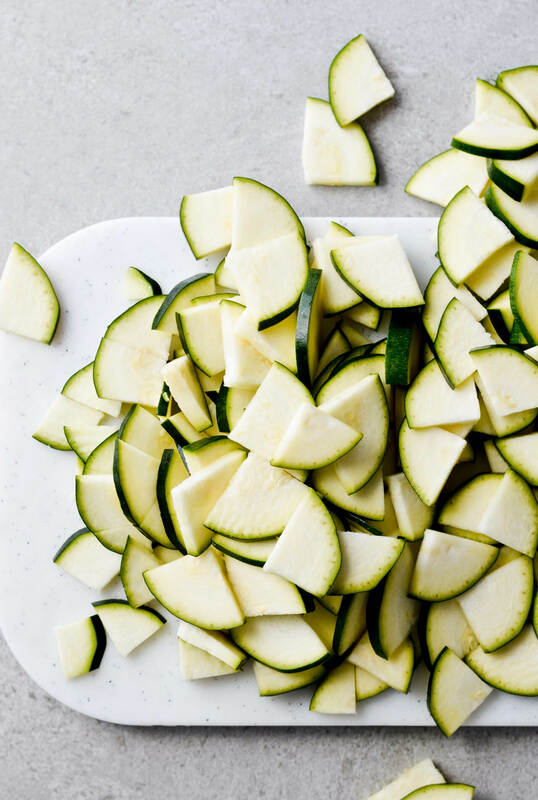 Toss in zucchini and sprinkle with a pinch of salt. Stir to coat and partially cover pan with a lid. 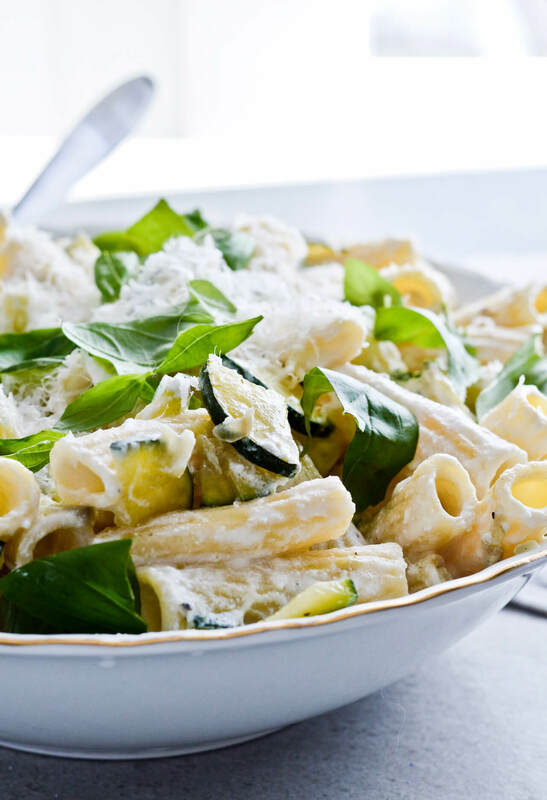 Cook for about 15 minutes, stirring often, until zucchini are tender and cooked through. Remove from heat, keep covered with a lid. Reserve 2 cups of pasta water for later and drain the pasta. Set aside. In a large bowl, combine ricotta, lemon zest, a big pinch of salt and a few grinds of pepper. 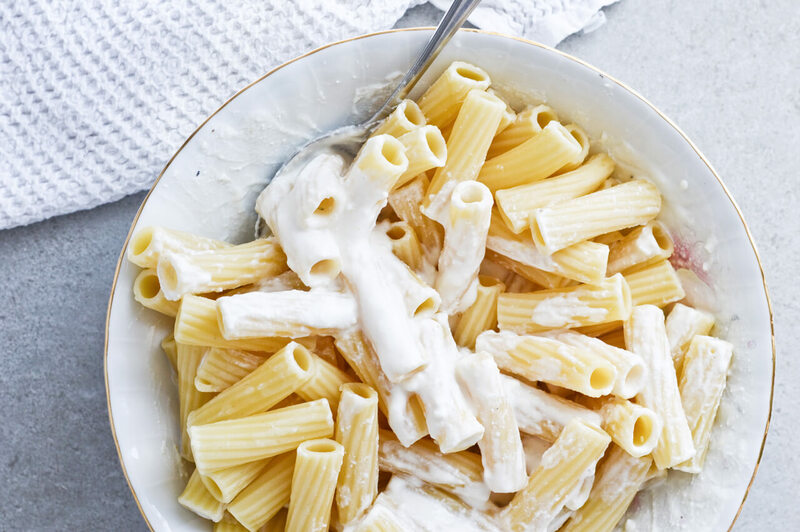 Pour over some of the pasta water, about 2/3-1 cup, and whisk ingredients together until the ricotta turns into a creamy sauce. Add more water if you want a thinner sauce. Taste and adjust seasoning. Quickly add the pasta and stir to coat. Lastly fold in the zucchini. 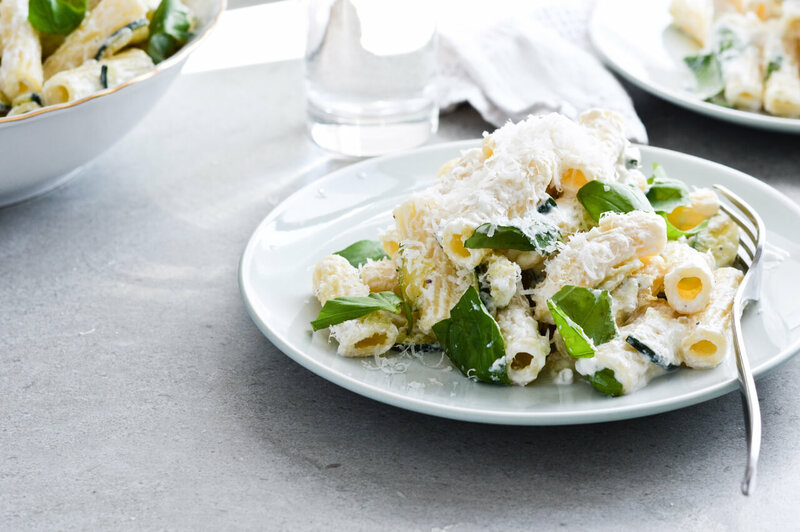 Finely grate Parmesan all over and sprinkle with basil leaves. Serve immediately. Although this recipe is mine, a quick Google search does show similar recipes from NY Times and Epicurious. Would you add lemon juice (how much) for an enhanced lemon taste? Hi Richard, you can definitely add lemon juice! Add it to ricotta before you stir in pasta water. As for how much that depends on your preference AND the lemons you have. Ideally I would juice about 2 lemons, first taste the juice to see how strong it is (some lemons are really sour while others are mild). Then I’d add 2-4 tablespoons to ricotta, taste it, add more if needed or until you get a desired result. 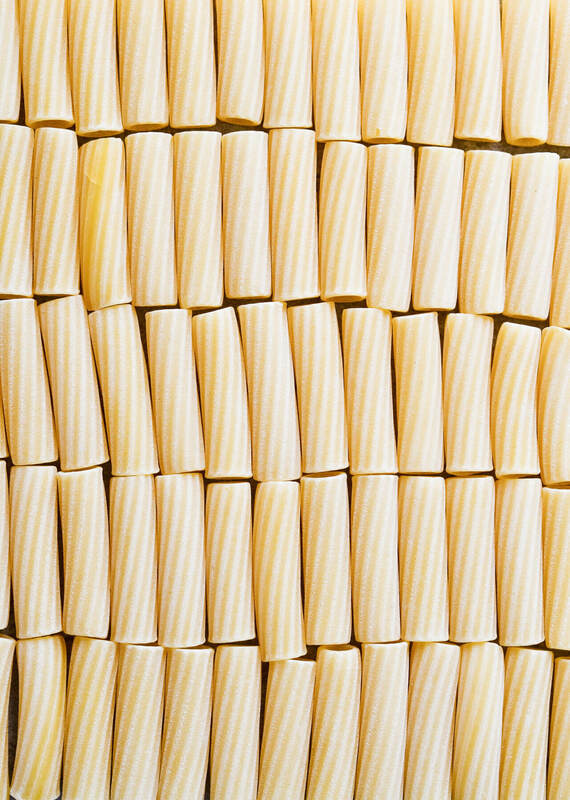 Other ways to add flavor would be to douse cooked pasta in lemon juice before you add the ricotta mixture. You can also squeeze a lemon over the finished dish.